The payroll refers to a list of employees that are currently being hired and paid for their work by the relevant employer. However, when one speaks of “Payroll Management Service”, they most commonly refer to the administrative menial work involved in managing a company’s monthly payment towards its employees and the relevant calculations involved. This can be quite a demanding task in terms of its time consumption. The calculations involved are intricate and an example of the factors that must be taken into account are listed as follows. This comprises any potential allowances, transport allowances, meal allowances and the like, along with tax deduction, CPF and any other form of deductions, such as any no-pay leave that the employee has taken, and others. As seen from the above, the task of managing a payroll is not particularly challenging. In fact, it may be considered to be mere administrative busywork. Therefore, given that the requirements needed for one to perform this task are not particularly high, and given further the auxiliary nature of such a task, it can indeed be a wise choice for an employer to delegate such work to a company that specialises in managing payrolls. To do it yourself or to delegate it to a department within your company can be an inefficient use of manpower. To have such professionals manage the company payroll is a poor choice as they are often high-skilled workers and their capabilities can be better utilised elsewhere. The benefits accrued from outsourcing the handling of the payroll include the fact that a specialised company, possessing significant experience in managing payrolls, is able to perform such services for you meticulously, effectively and relatively cheaply. The time saved can translate into a win-win situation for both parties, as the specialised company is then able to pass on cost savings to you. JobPlus is one such company specialising in, among other things, payroll management. We are an key player in this industry with many years of experience, given the fact that we were established in 2003. The lessons we have learned over the years put us in a strategic position to handle your payroll in a hassle-free, no-frills manner. We will deliver quality service at a reasonable price. Should you be interested in outsourcing the management of your payroll, feel free to contact JobPlus at +65 6733 9388. Furthermore, you may also email us at enquiry@jobplus.sg. We strive to respond to all queries within 24 hours. Click here to read more about the new rules for Singapore payroll management. 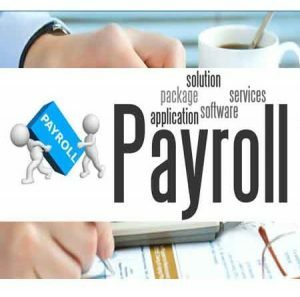 May 2, 2018 By payrolloutsourcing Articles, News, Payroll payroll management service Comments Off on What Is Payroll Management Service?